Religious TV Channel / Charity TV, an apostolate of the Congregation of Maronite Lebanese Missionaries, is a Web TV that attempts to spread the love of Christ to Catholics, Christians of the Middle East, and the whole world, by using the Internet, which is becoming the main way to connect with young people who are the main target of Charity TV. 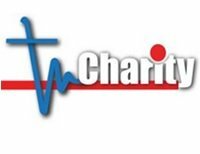 Charity TV is committed to produce programs which emphasize the Christian and moral values and the teaching of the Catholic Church. It is interesting here to note that Charity TV concentrates all its efforts to work on religious and pastoral themes, as well as theological, bio ethical, educational, social, and cultural ones. Charity TV also offers live entertainment shows and special programs for children and teenagers.